It all began in the year 1995 with Lancia YPsilon making its debut and since then they have completed 30 years of successful stay in the automotive industry. Company has been presenting city cars all this time and has commendable made the sale of over 2.7 million cars throughout the Europe. To celebrate this saga, company decided to launch its all new Lancia YPsilon 2016 with a complete makeover and offering three trim levels; Silver, Gold and Platinum. 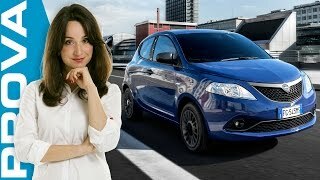 Let us have a look at the review of Lancia YPsilon 2016 to know more about the product. The interior of Lancia YPsilon 2016 brings some new color combinations with better fabric to provide the touch of leisure and comfort. Talking further about the fabric, upholstery of Silver trim gets the cross-printed “degrade” while the Gold Version comes along velvet with chevron pattern and last the Platinum trim is adorned with leather and fabric combination, the Dinamica. The interior isn’t just about the fabric and upholstery, but there are more features that make this model special. This includes the dashboard which now comes with new sporty textures which also adds to the luxurious feeling. 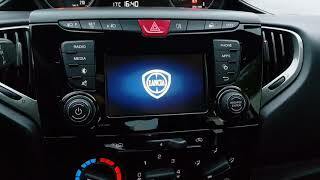 The highly comfortable interior further gets the blend of UconnectTM infotainment system. The system comes mounted in the Gold version with steering wheel controls. 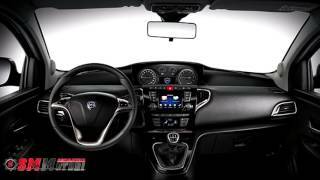 Rounding up the entire details of the interior of Lancia YPsilon 2016 I would say, its luxurious, tech-oriented, spacious and comfortable for a city car. The exterior of Lancia YPsilon 2016 primarily holds a new essence of colors. The queue includes two new shades been added to three pastel colors, the six metallic colors and the three-layer white. Starting with the front fascia you have a semi-oval shaped curved hood right above the wing-shaped grille. In the top-center of the grille is the company’s logo. Sitting at both the ends you’ll have wide elongated headlights while the lower section has a large air intake in center of the two fog lamps. Moving towards the rear-end all we would say is, it’s a decent city car, compact with its shape outside and prepared to serve your day to day needs. 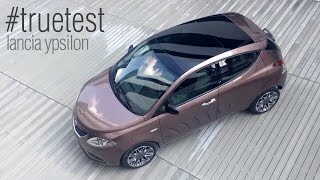 Rounding up the exterior details of Lancia YPsilon 2016 I would say, it is step ahead of its predecessors. As we mentioned earlier beneath the hood of Lancia YPsilon 2016 will be three engine options, one for each of its trim; Silver, Gold and Platinum. The Silver trim comes with a 1.2 Liter LPG/Petrol engine generating 69 hp, for the Gold trim, company has mounted a 0.9 Liter Methane/Petrol Twinair Turbo engine with Semi-automatic gearbox cranking 85 hp and last but the most powerful of all comes beneath the hood of Platinum trim in form of a 1.3 Liter MultiJet Turbo Diesel engine throbbing total output of 95 hp. Talking about the impact of these engine on environment the CO2 emission level for all of the three trims is 110 g/km, 86 g/km and 95 g/km respectively. 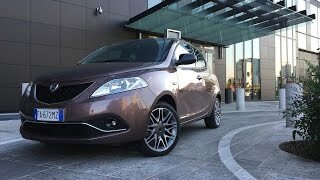 As far as performance figures of Lancia YPsilon 2016 are concerned they are not yet released but we’ll be updating them as early as company breaks the ice.